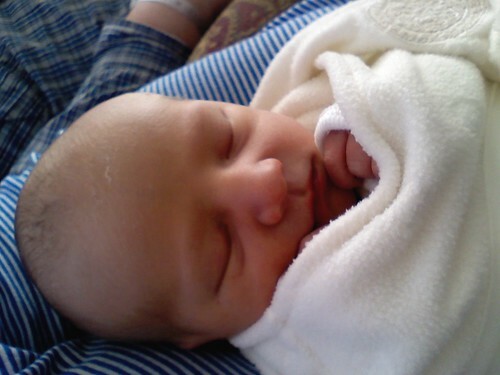 Andy and Jennifer's little guy came into the world on the 1/6/11, which is neat because he weighed in at 6 lbs, 11 oz. We stopped by to visit them at their home today after they were discharged from the hospital. All is well. Mom and Dad are settling into their new adventure and Baby Albert is so adorable.